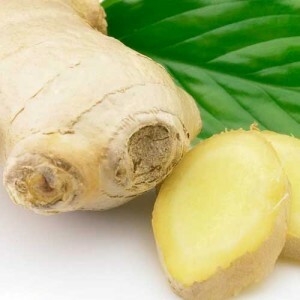 Ginger compress massages relax, detox, and heal the body using the natural power of ginger. Ginger compress massage is an ancient treatment that has been practiced for thousands of years. Even though most of us associate ginger mainly as a delicious flavor in cooking, it is also enriched with properties that have significant health benefits. That’s why it is a long-standing and well-known healing and therapeutic aid in Oriental medical theory. Ginger can help to stimulate blood flow, release toxins and the flow of energy, regenerate tissues, and strengthen the immune system and the internal organs. In particular, it is often applied to the kidneys, lungs, and intestines. It is also an effective treatment for arthritis, muscle stiffness, and pain from injury. How does ginger compress massage work? Towels are dipped into hot water containing the juice of freshly grated ginger, and the excess water squeezed out. These towels are then applied to the back and/or chest, or the joint that is causing the problem. The temperature of the compress is raised over time, invigorating circulation and helping to fight cold, mucus formation, joint pain, or any other stagnation in the circulatory system. A soothing and invigorating aroma of ginger fills whole room, creating a deeply comforting and calming experience. What goes well with this massage? A ginger compress massage followed by a 30-minute acupressure (Shiatsu) massage will combine to enhance your life energy, support your immune system, and boost organ vitality.